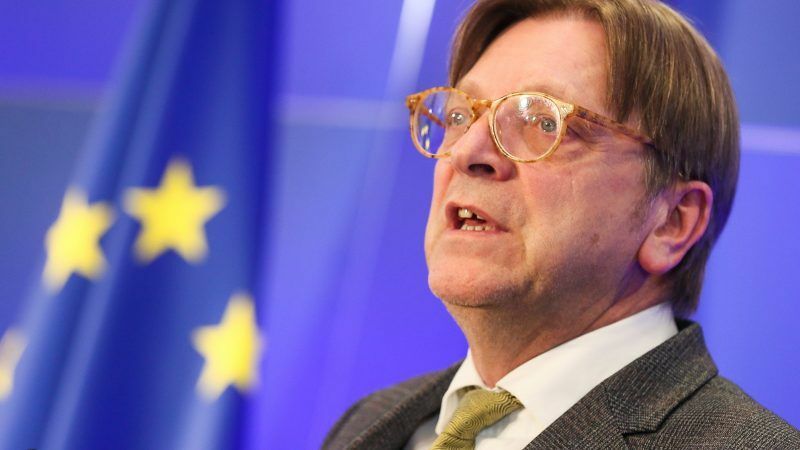 The Belgian MEP Guy Verhofstadt, leader of the European liberals and democrats (ALDE), confirmed in an interview with EURACTIV’s media partner Ouest-France that he will be campaigning with French President Emmanuel Macron at the European elections in May 2019. The common movement will be launched in October. How will your group position itself at the next European elections? Following the meeting between the Hungarian leader Orban and the Italian deputy prime minister Salvini, the fight in 2019 will be a fight between the nationalist populists on the one hand, and a pro-European alternative. We not only share the same analysis but also more or less the same proposals. His speech at la Sorbonne was widely supported by the ADLE [Alliance of Liberals and Democrats for Europe] parties. We are ready to establish this alternative with Macron. To be part of the same group after the elections? Under the ALDE ticket? Or under a new name? I don’t know, we are discussing this. But it will be something new, a movement. A pro-European alternative to the nationalists. Our group is ready to participate in this right away, without delay. Are you going to campaign together? I think we will have to run together, yes. Each party can keep its symbols, but we are creating a broader movement. The objective is to create a group that is decisive in the future parliament, a tool for stopping the populist wave. What will the movement represent? You can anything except that the European Union is working well. The big difference between the nationalists and us is not in our analysis. It’s on taxes. There is a European crisis and this has to be recognised. Not doing this, as the mainstream parties do, saying that progress is made in small steps, is bad politics. In Dutch there is a proverb for this. Bad doctors and their half measures allow wounds to fester. Macron is against the rationale of the “Spitzenkandidaten”, (the person who heads the list of the party that comes first then becoming President of the European Commission), and yet you have always been in favour of this. Have you changed your mid? We were very much in favour and then we became very critical of this. We like the Spitzenkandidaten for whom people can vote, but transnational lists would have been the democratic justification. And it was for purely political reasons that the EPP didn’t want them. However, by rejecting the transnational lists, they killed the Spitzenkandidaten. They were the ones who killed it. It remains a system where Mrs Merkel is the one who decides who is the next Commission president. What concerns me most is that EPP’s real candidate is Mr Orban. Read the rest of the interview on Ouest-France.